The 11” heavy-duty sander runs at 1700 “orbits” per minute with smooth, hand-polished action as well as another sander that comes in the lowest profile in the industry with rock-solid engineering, materials, and craftsmanship. The 11” Sander can be sold as “Shroud Only”. 11” Drive Pads can also be sold separately. 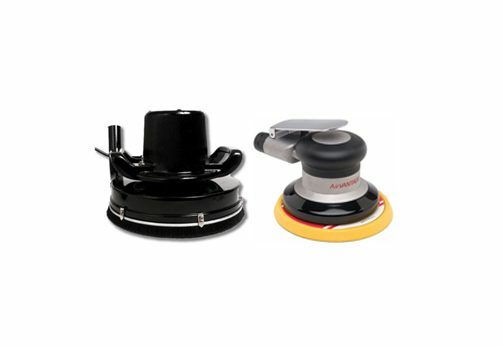 The AirVantage Palm Sander comes in the lowest profile in the industry with rock-solid engineering, materials, and craftsmanship. Comes in 5” or 6” and is sold with H&L Pad.